AirCleanse is a useful adjunct to Petal Cleanse as it helps reduce the airborne allergen load. 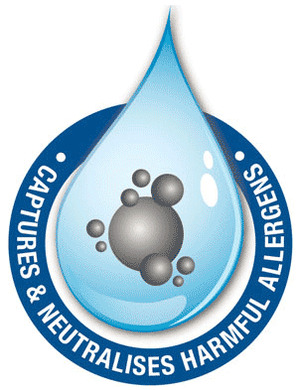 AirCleanse chould be used at the start of your pet's treatment with Petal Cleanse. 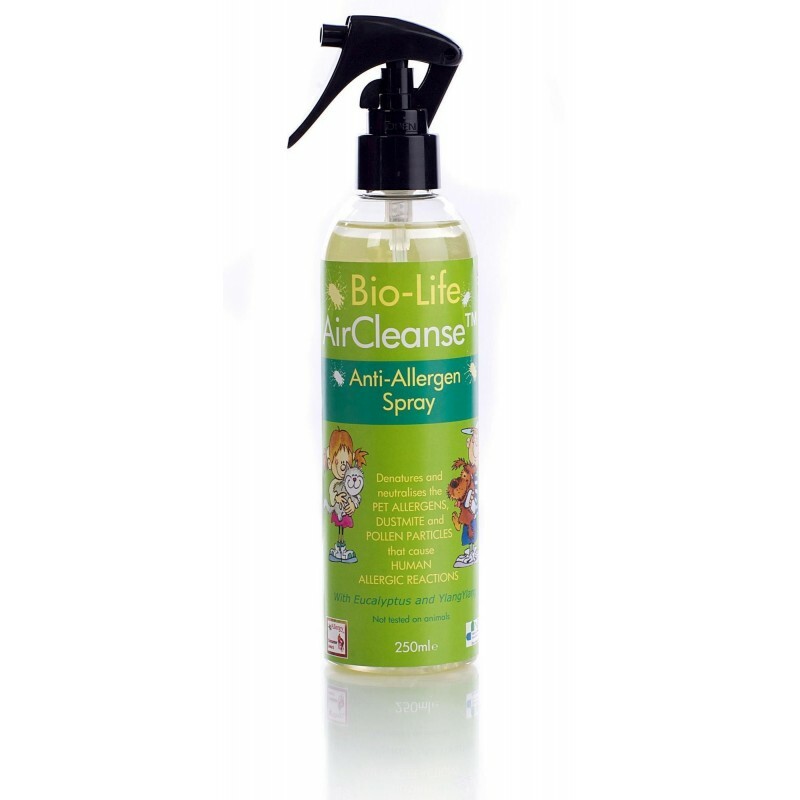 It contains Eucalytpus, Ylang ylang and surfactants in a trigger spray aerosol which when 'swept' through the airspace in a room will reduce the airborne allergen level, particularly pollen and pet, by at least 65%, and up to 85% when used with Petal Cleanse. During the winter months the spray used be used weekly, but at times of heavy pollen levels it should be used daily.